As a matter of fact, the humans at ROBOT55 have been involved in the production of this cult program, and I think they can deliver an interesting and smashingly funny program for you. In the distant future at Neo Saitama, some evil ninjas were brought back to life through the use of cybernetic technology and, in a turf war, they killed the wife and children of a Japanese Salaryman, Fujikido Kenji, who escaped death and then his soul melded with that of another enigmatic good ninja. 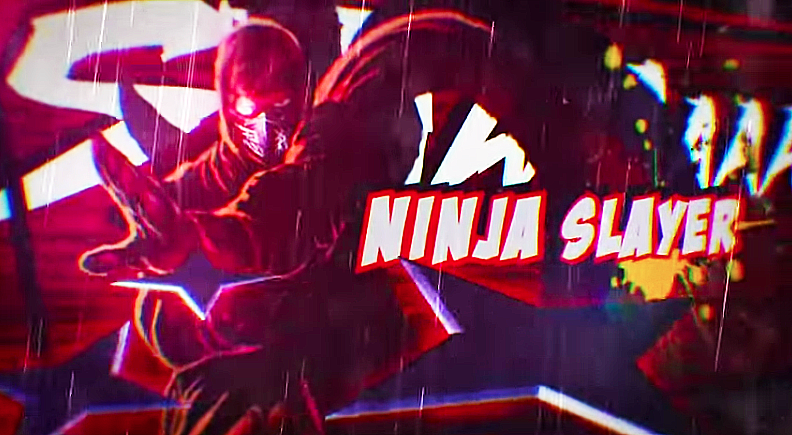 He cheats death and becomes Ninja Slayer a Grim Reaper destined to kill evil Ninja in a personal war of vengeance. “What? !” Yeah. That’s what I first said. This Ninja Slayer is deliciously ridiculous. I love it! So don’t forget! 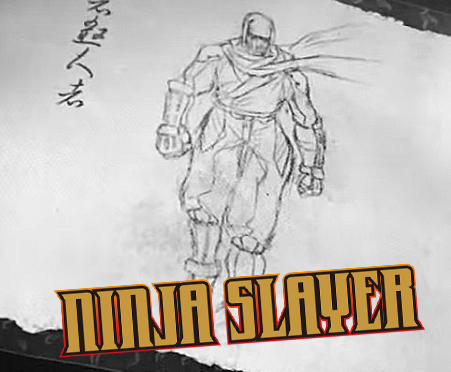 Ninja Slayer animation begins April 16th, 2015 at 11 pm on Niconico! There’s some more very exciting news coming out about the involvement of Robot55 (and the sister company, Universal Vision Ltd. – http://universal-vision.jp/) with the video production about this smash hit adventure. Get all the inside information here! Stay tuned!